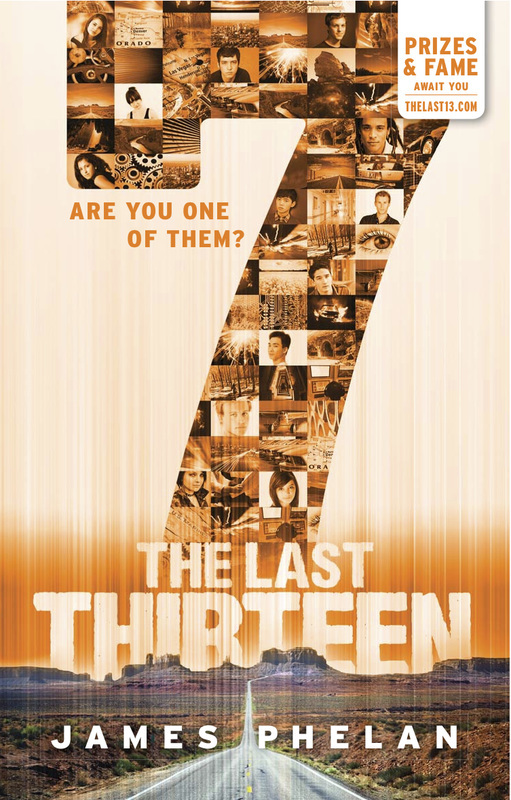 THE LAST THIRTEEN is a 13-part serialised thriller series for young readers (aimed at ages 8-15) and counts down from 13 to 1... this book, "7", is the 7th book in the series. any of you, you’re in my world. Solaris remains an ever-present threat as Sam’s search for the next Dreamer takes him to the Grand Canyon. All is not as it seems as strange secrets and devastating betrayals force him to question all he believes in. Facing insurmountable challenges, deadly consequences seem inevitable . . .
With Alex on a perilous solo mission, Eva and Lora rush to warn Sam before it’s too late. Their enemies grow more desperate, and they don’t know who to trust. Sam must find the last 13. The fate of the world depends upon it. The firefight erupted before Sam’s world had even stopped spinning. The sound of gunshots rang out all around, the echoes washing over them, trapped in the crushed car. Sam reached out to pull hard at the door handle. Next to him, Xavier leaned over to help wrench the door open, but the impact of the crash had bent and twisted the doorframe. The wrecked Guardian car ahead was an empty shell, burning hot and bright. The surviving Guardians sheltered behind it, using it as cover from their attackers as they returned fire. Sam twisted his neck to look frantically at the windows. Each was cracked or shattered. None would provide an easy escape. How are we getting out of this? ‘Out the back!’ Tobias called, taking charge as everyone began to cry out and gasp for air. He climbed over to the back seat and manoeuvred in between a visibly petrified Maria and her father, kicking open the lift-up door. The other Dreamers and Sam followed. The two Guardians in the front seats were leaning out of their wrecked windows, shooting furiously. Darts pinged off steel close to where Sam knelt, huddled behind Tobias. Still crouched and staying close together, Sam, Rapha, Xavier, Maria and Chris all followed Tobias to shelter behind their crashed car. Darts continued to ricochet off the metal frame. The rear sedan had escaped any damage, its Guardian passengers now standing close to the Dreamers on the bridge, defending against Stella’s Agents. From out of the loud gunfire, Sam heard a buzzing noise overhead. He looked up and saw a small helicopter hovering above, rotors blurred in flight. What the . . ? His fear switched to hope. Is this some kind of remote assistance from Jedi? That’s so cool! As he looked closer, Sam noticed that the helicopter had a tiny camera fixed to its underside, and it hovered on the spot, remaining positioned directly above him. He squinted up into the lens. Oh, great. That’s so not cool. Sam ignored the helicopter and scanned the scene, looking up and down the endless bridge highway that stood imposingly over the sea. All other traffic had stopped, turning around where they could to speed away from the fight that had erupted in the middle of the bridge. there were more Guardians protecting their position further up the bridge. From where he took cover, he could see seven rogue Agents, hunkered down around their own vehicles, waiting for their chance to advance. Rapha and Xavier nodded. Sam hastily reached into his backpack and pulled out his dart gun, pressing it into Xavier’s hand just before they ran quickly with Maria and her father to the last remaining vehicle that could still be used to escape. Sam watched as they piled into the large black car, Chris at the wheel. The car roared into life and spun around rapidly, screeching down the wrong way on the bridge, back in the direction they had come. As they retreated, Sam could see the car weaving through the stopped traffic and taking the emergency lane to get far away from danger. Sam could feel the heat radiating from the wrecked Guardian vehicle in front, twisted up against a passing truck that had also crashed in the mayhem, completely closing off the road ahead. The flames mesmerised Sam, putting him into a fearful, almost hypnotic state. Sam didn’t respond. He continued to watch the flames flicker, his senses all seemingly offline. An explosion of the truck’s diesel tanks cut through the air and the hot rush of the fiery wind flooded over him. Just like that night with Bill and the fire. I couldn’t help him . . . and in the end I can’t help anyone, not even myself . . .
From his high vantage point, Sam could make out two guys in the back of the boat, manning a rocket-launcher. They’re the ones that hit the Guardians’ car! There was one other guy visible, standing at the wheel, obviously ready to drive the idling boat around when the team up top had finished off the job of getting Sam. ‘Hide among our enemy . . .’ Sam said, starting to see sense in the plan. Anything to get away from this fire. The little helicopter buzzed overhead, shadowing Sam’s every move. The Guardians were shouting at each other, coordinating their fire. Tobias called out commands to the closest one who nodded and relayed the information to his colleagues. Then, while the two front Guardians kept shooting at Stella’s Agents, the rear Guardians both turned around in unison, the small helicopter in their sights. They each pulled their triggers in the same instant, hitting the remote-controlled vehicle and sending it spiralling to the ground. Sam jumped out of the way as it crash-landed just where he had been crouched. With a swift kick, he sent it sliding across the road into the fiery furnace of the burning wreck. ‘Follow me!’ Tobias said, running to the guardrail of the bridge and vaulting over the side. At that same moment the Guardians began firing even faster and more relentlessly at their enemies. Sam followed, hitting the railing at the same spot and hurdling over it—one giant leap straight ahead, without even looking down until he was flying over the edge. Sam flew through the air, his arms and legs thrashing about as though he was still running. As he fell towards the water, he saw Tobias directly below him, a few seconds ahead. More alarmingly, he also saw the boat directly below them both. Sam adjusted his Stealth Suit so that the material between his arms and body formed the wingsuit he’d used before. It caught at the air and, with the added wind resistance, Sam adjusted and slowed his fall. He was still headed for the boat but was slowing, gaining enough time to better position his landing. He hit hard, landing directly on top of the guy loading the rocket-launcher. The rogue Agent was knocked out cold, and the rocket he was holding clattered to the deck with a loud metallic CLANG that made Sam freeze in anticipation of what was coming. But there was no explosion—the rocket didn’t go off. The other Agent turned around, momentarily caught off-guard at the sight of his buddy on the ground and a new passenger standing next to him. ‘OOMPH!’ he exclaimed as Sam fly-kicked him, sending the Agent overboard. The guy’s eyes rolled shut, and he slumped forward to the ground. Tobias seemed to materialise out of nowhere, the life ring he used to hit the Agent over the back of the head with still held tightly in his hands. boat, easing the throttle while turning the wheel. He brought the boat around fast to face the bridge. Sam watched a rocket streak up and explode just behind Stella’s men, forcing them to run for cover.